When a colleague discovers a lump in her breast, she believes Dr. Camille Weller is the best doctor for her. Together, they decide on a course of treatment that bucks the established medical system, keeping Camille firmly in the crosshairs of male surgeons already riddled with skepticism and suspicion. Her success as a surgeon is jeopardized further when dark whispers from her childhood in Africa plague Camille's thoughts. Bewildering panic attacks instill fear in a surgeon bent on maintaining the control, pace, and direction of her own life. Unable to shake the flashes of memory, Camille is forced to face a past she has not acknowledged since the death of her father on an African mission field. Who was he? Who was she? And why would either of those answers affect her present? 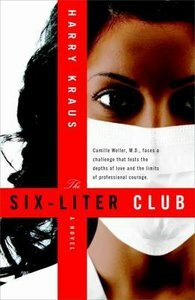 Harry Kraus, M.D., is a practicing general surgeon and the author of eight novels. He is currently serving with Africa Inland Mission as a missionary surgeon at Kijabe Hospital in Kenya. Dr. Kraus received the M.D. degree from Medical College of Virginia, completed his surgical internship and residency at University of Kentucky, and formerly practiced in Virginia.